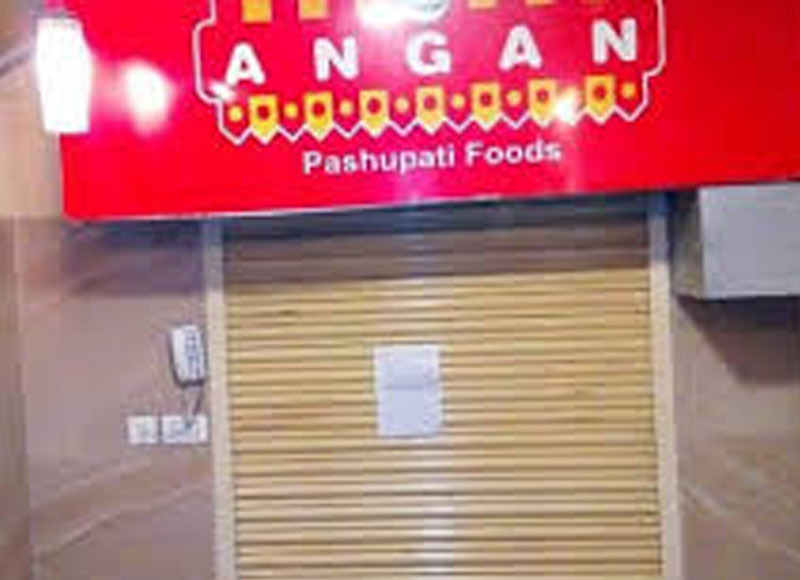 Kathmandu, Workers of Pashupati foods have locked outs all 6 branches of the Aagan sweets demanding facilities according to labour Act on 21 January in Kathmandu. Employer hasn’t provided 10% server charge, salary and other facilities according to the Labour Act. After the management ignored the workers demand of 10% service charge & other facilities, GEFONT affiliate Nepal Independent Hotel, Casino & Restarant Worker Union (NIHWU) has locked out Aagan sweets. NIHWU has been agitating & demanding for immediate resume of the workers who have sacked by the management.